Just as there are many different causes of flat feet, there are also many different treatment options. The most important aspect of treatment is determining the exact type or underlying cause of flat feet that you have. Foot and ankle specialists can determine this through thorough clinical examination and special imaging studies (e.g., x-rays, computed tomography, and/or magnetic resonance imaging). Conservative treatment is effective in the vast majority of flat foot cases, and consists of things such as insoles, splints, manipulation, or casting. 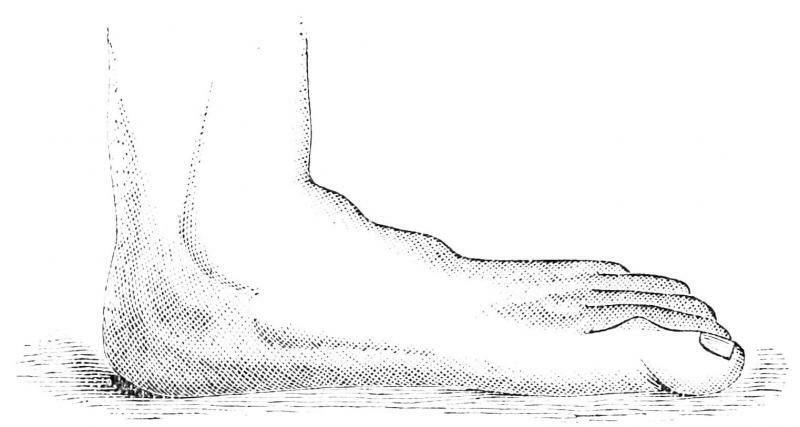 Surgery is required much less frequently, and is reserved only for some of the severe types of flat foot that do not respond to conservative therapy. You may have noticed that one common element in the conservative treatment of all types of flat feet is orthoses. Many companies now manufacture semi-custom orthotic devices that not only improve comfort, but also seek to control abnormal motion of the foot. These over-the-counter inserts, in the $25 to $50 range, are an economical treatment that may help a majority of people. Unfortunately, these semi-custom devices will not fit everyone perfectly, and those of us who differ too much from the average may respond better to custom orthotic devices. Custom inserts are prescribed by your foot and ankle specialist and are made individually from either a physical or computerized impression of your feet. The only drawback of custom orthoses is their cost, ranging anywhere from $300 to $500. Many physicians recommend trying over-the-counter inserts first (and even keep them in stock) as they may save their patients large sums of money.